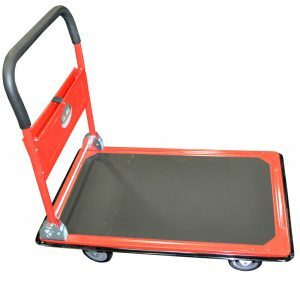 Fork Entry Bars: Safely Move Un-Palleted Objects with you Forklift. 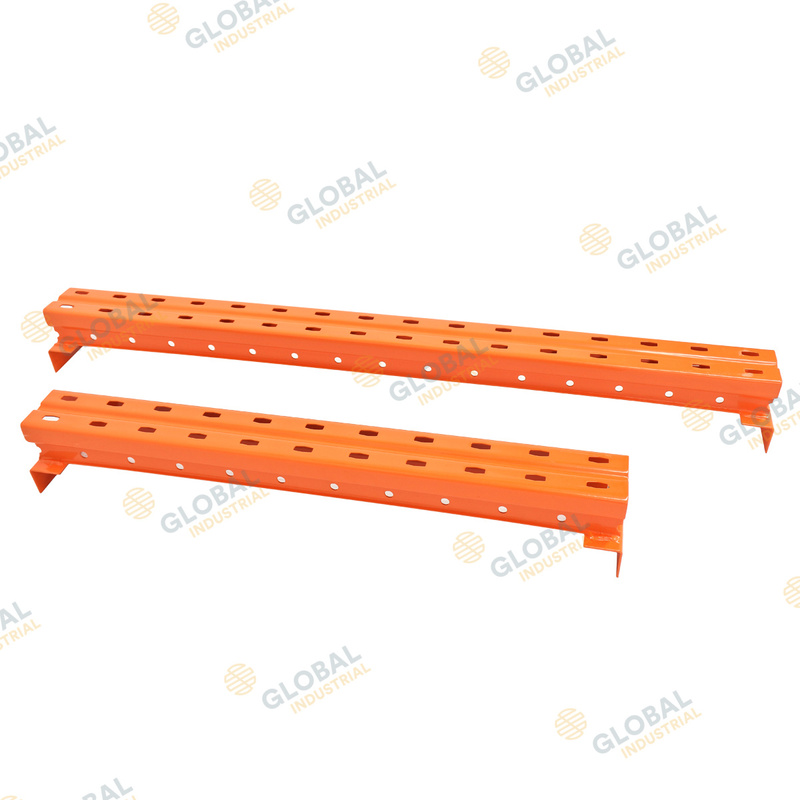 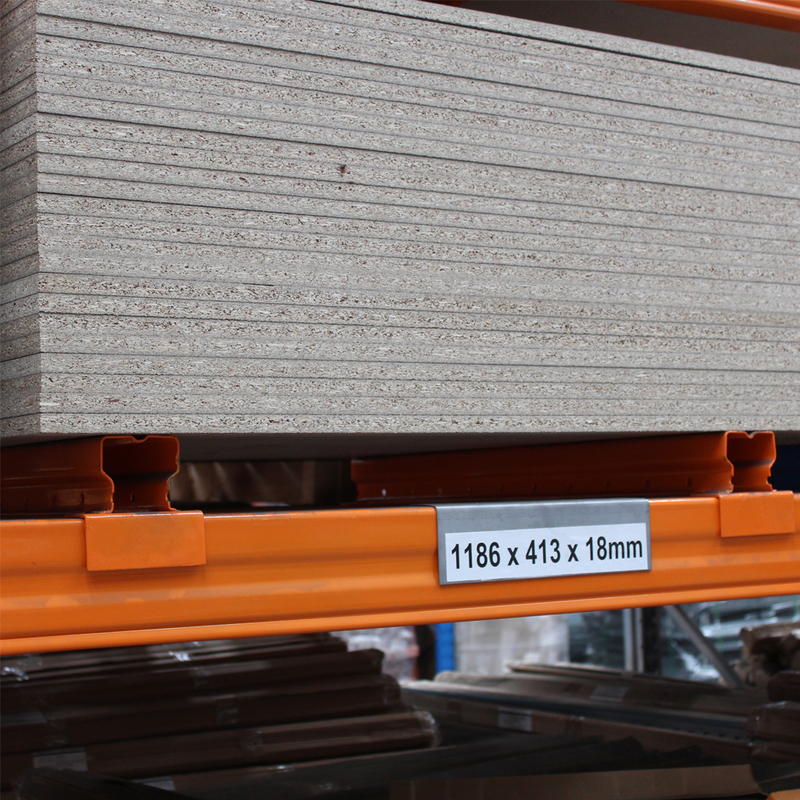 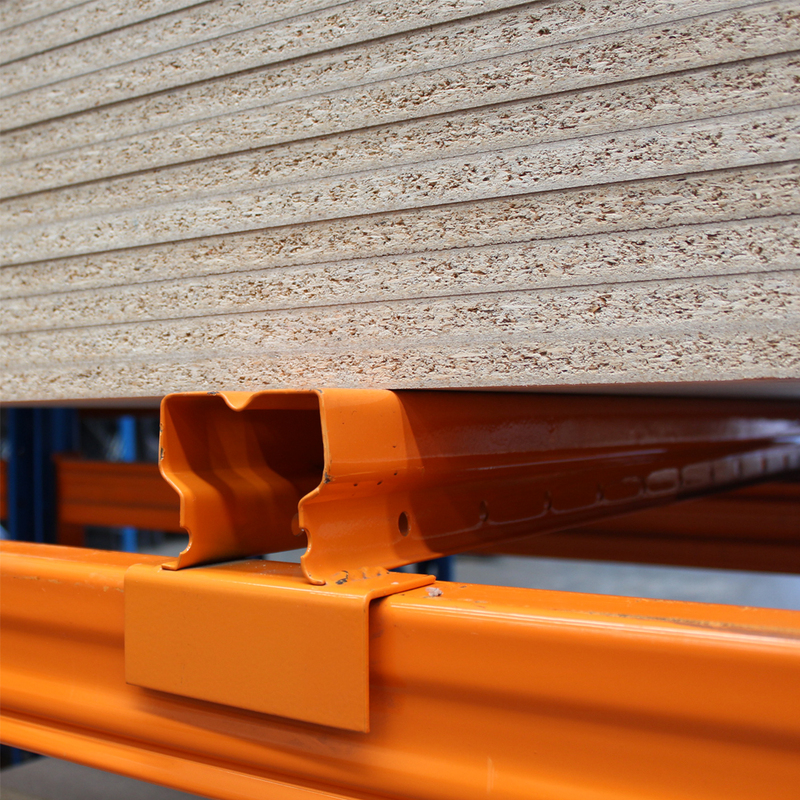 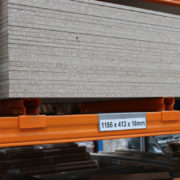 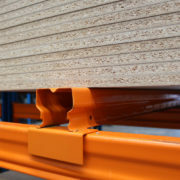 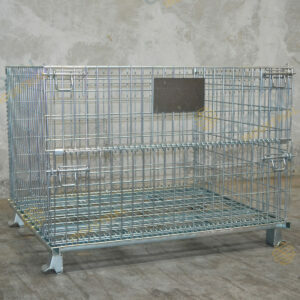 The Global fork entry bars are designed to provide forklift access for un-palletised goods such as plasterboard and chipboard. 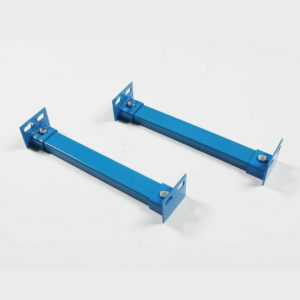 These fork entry bars sit above the beam by 100mm. 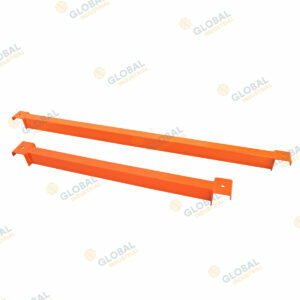 Each fork entry bar is designed to hold 500kgs UDL each. 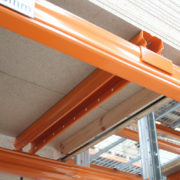 A safer solution than using wooden gluts/chocks because the entry bars lock into position over the beams. 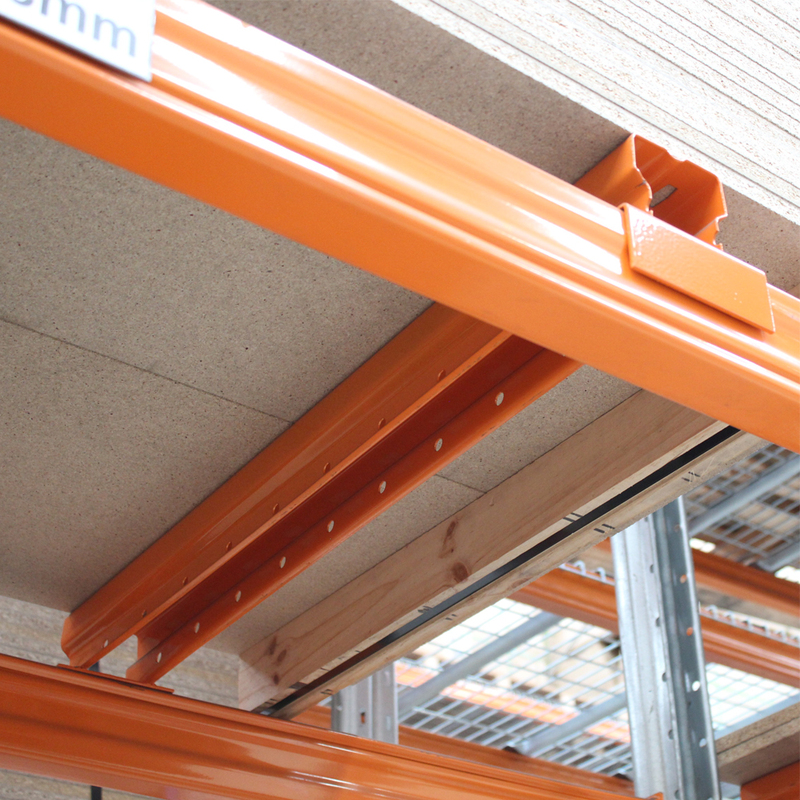 This prevents any movement on the smooth beam surface.